A new addition to the Electric Tobacconist V2 cartridges range gives a smooth and sweet Chocolate flavor that has a well balanced and delicate taste. With a subtle sweetness there is no danger of 'too much chocolate syndrome' - plenty of our customers vape this all day long! 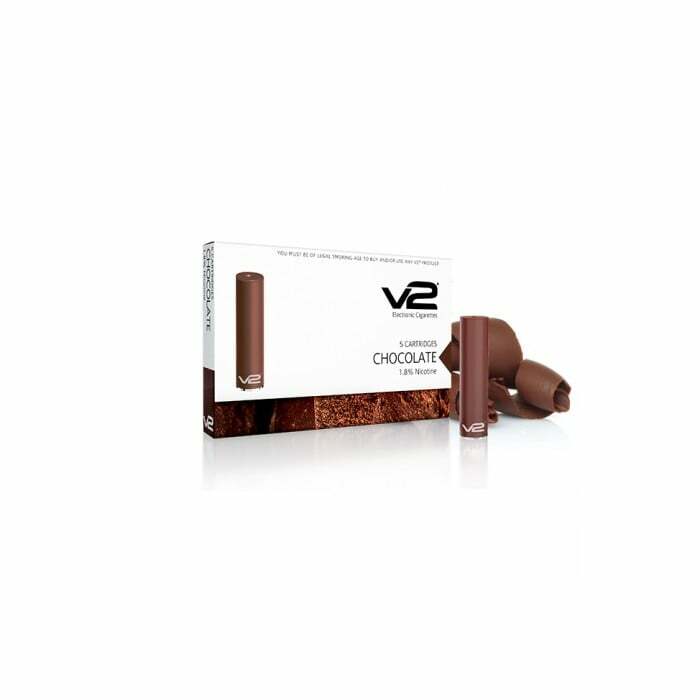 If you are looking for a strong cocoa flavor this might not be for you but if chocolate and sweeter vaping flavors are then try this cartridge from V2 Cigs. These cartridges are good. Typical chocolate flavoring. Just wish they lasted longer. Like these vs the EX cartridges that you can get from V2. These last longer than the EX and shipping is fast from electric tobacconist.